Matt Granger - D4s image quality - ISO still short of the Df! D4s image quality - ISO still short of the Df! The D4s has just been tested, with surprising results. When the Nikon D4 came out - it was a BIG advance over the D3s. The ISO performance was significantly better - and it instantly became the top rated 35mm DSLR sensor tested by DXOmark - until the D800 came out! A few years later, and a few models passed, the D4s is now on the street and, as the official Nikon press release states, it has "A new 16.23 image sensor specifically matched to the new EXPEED 4 image processor delivers stunning images that exhibit even greater sharpness and enhanced depth" and they claim "...unrivalled low light performance." We are all fairly accustomed to bold claims at release right, but how would it stack up in reality? DXOmark have tested it - and whilst I know a lot of folks question the testing methods (Nikon cameras tend to perform best), and of course technical performance is only part of overall quality of a camera - the results can still be compared side by side. First off the bat - it exceeds the Canon flagship 1Dx in every category tested. 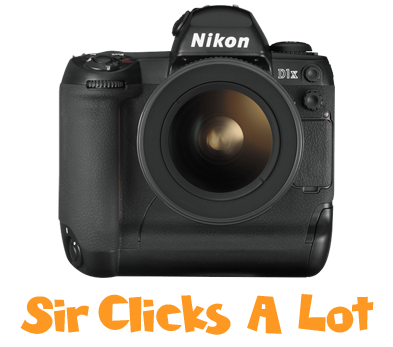 However, it ends up with the same score as the camera it replaces - the Nikon D4. As the tables below show, whilst the D4 and D4s both scored 89, it has improved in ISO slightly(3074 vs 2965) - but it scores LOWER for colour depth. The interesting thing is that the much maligned Nikon Df still outperforms them all in ISO performance - by 200 points - double the improvement the D4s offers over the D4. As I said above - these ratings are only a small part of the story. I seriously doubt that a few points improvement in ISO performance is enough for anyone to upgrade, or change systems. Ergonomics, focus capabilities, battery life and rugged build time are (to me) far more important aspects when considering a sports camera like the D4s & 1Dx. What do you think? Share your thoughts on the Community Forum thread HERE. That said, for those who DON'T need ultimate speed and the other benefits a big $6,000 camera offer, but who DO want amazing ISO performance... the Df may just be the way to go. I will be doing a follow up review on that, after several months of ownership, very soon.